Let me first answer the questions tagged by Mira. 1. When do you start using skincare? I started using skincare when I was a teenager(aged 13 or 14, I think). Back then I only used a cleanser. 2. What is your favorite skincare brand? Why? 3. What is the most expensive skincare product that you've used before? How was it? 4. The most regrettable skincare product you ever bought? Why? 5. Your opinions on makeup? Makeup is a beauty enhancer! It helps enhances your looks, accentuate your facial features and make you look more presentable. 6. What is your favourite makeup brand? Share your must-haves from this brand. 7. Foundation or BB Cream? Share me your must-haves with us. Definitely BB Cream! As stated previously, The Face Shop Power Perfection BB Cream is my favorite must-haves BB Cream. The coverage is superb! 8. Your most favourite makeup palettes and brush sets? 9. Which celebrity looks inspired you the most? 10. What's your all-time favourite show/series? Why? I don't have a particular favorite show/series but I do like COMEDY shows/genre because it will make me happy! 11. Top 3 places you want to go. Share with us why. 1) Any places where I can catch a glimpse of AURORA! I saw it on TV, it's damn stunning! If I can see and experience the aurora in person, I will be damn happy laaaa and I will die with no regrets! lol. 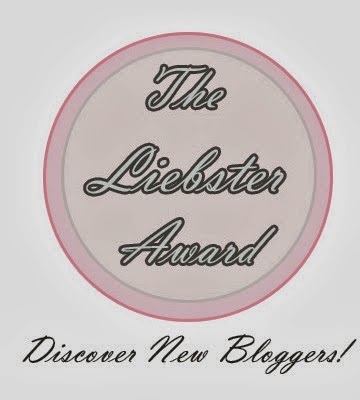 As I have mentioned in previous award post, I don't visit nor follow blog unless people leave me a comment with a link and/or follow request in my blog. I don't interact much with people in the blogosphere so to nominate 11 bloggers is quite a difficult task for me. With that said, I only listed the ones I frequently visit. 1. How do you deal with acne? 2. What do you do to prevent yourself from getting break out? 3. How often do you change your skincare routine? 4. What's your favorite concealer? 5. What do you think of fake eyelashes? 6. Do you wear mascara? If yes, do you know you are suppose to change mascara every 3 months? Do you follow that? 7. Tell me THREE make-up items you can't live without. 8. You are running late for class/work and you haven't done your makeup and you only have 3 minutes left. Would you rather be late - taking your time to put on your makeup or would you just go to class/work bare faced? 9. If you can only bring ONE thing out what would you bring — Wallet or Handphone? 10. What's your wishlist for Christmas? Hey, Ashley! :D Thanks so much posting this up! I'm looking for a good brush set right now and you're the third person who I considered as voter for Ecotools. I do love the ones with bamboo handles. Me too! I love how natural looking Korean women makeups are! Especially how the rosy cheeks part. Ah, Paris~ Wish I could go there, too! Anyway, thanks again dear! hehe It feels right to nominate you cause I do love your reviews!